Medical eye problems are chronic or acute emergency eye conditions that fall outside the scope of the normal eye exam and lens prescription you usually receive when you go to an eye doctor. These are conditions that can negatively affect your vision either temporarily or permanently, and may even affect your health in other ways if you neglect symptoms and let them persist. With some chronic medical eye conditions, you need regular eye doctor appointments to keep the symptoms under control and preserve your good vision. What Medical Eye Problems Do You Treat? 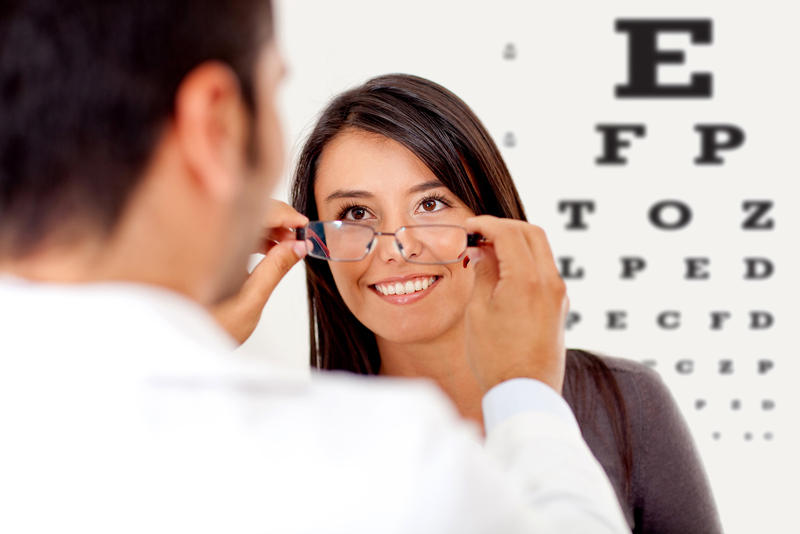 Eye injuries -- Any type of eye injury requires a trip to the eye doctor. You don't know the extent of the injury or how serious it is until you see an optometrist. And, eyes are delicate things, so treatment for the injury isn't something you should attempt on your own. You want to make sure your eye is treated properly and safely, in a way that will promote true healing. Be sure to visit an eye doctor as soon as your eye is injured, because you don't want to let an eye injury go untreated, where it could potentially damage your vision, get infected, or cause you unnecessary pain. You can usually get in as an eye emergency patient in instances of eye injuries, so make that call ASAP. Red or dry eyesThis is usually a chronic eye condition, and it can be irritating but is usually not serious unless you let it go untreated. Dry eyes are a very common eye condition that occurs when your eyes don't produce enough natural tears. Red eyes are usually caused by environmental irritations, lack of sleep, or allergies, but can also be caused by conjunctivitis, also known as "pink eye." This is a common eye infection, but it must be treated to avoid damaging your vision and giving it to others around you (as it is highly contagious). Dry eyes can cause eye damage, especially to the cornea, if they are untreated. A red eye is usually treated with special medicated drops, depending on the cause, while dry eyes are treated with artificial tears, which are basically saline eye drops. Glaucoma This is a chronic eye condition for which there is currently no cure, but it can be successfully managed. Management and eyesight preservation is more successful the sooner the condition is diagnosed and treatment is begun. When your eyes do not drain aqueous humor fluid as they should, the fluid builds up in your eye and causes pressure that can eventually damage the optic nerve. Enough of this can eventually damage your vision, or even cause you to lose it. However, there's no need for it to get to that point if you get it diagnosed and treated. This is why glaucoma tests are part of every optometry exam. If you do have glaucoma, you will be treated with medicated drops to relieve the pressure. Eventually, you may require surgery to create a new drain for the eye fluid, or a shunt or artificial drain to be inserted for the same purpose. Diabetic retinopathy This is damage caused to the eyes by diabetes. Gone untreated, it can lead to vision loss. However, your vision can be preserved by staying on your diabetic treatment medication and regimen as you are supposed to. Sometimes, injections of a special medication into the eyes has to be done to preserve eyesight in eyes that are already damaged by diabetic retinopathy. Macular degeneration Usually caused by age or genetics or both, this condition is a deterioration of the macula, which supports the vision in the center of your visual field. Gone untreated, you could lose all but your peripheral vision. The good news is that this condition can be treated and managed with medication and/or surgery to repair the macula. Many optometrists start with prescribing vitamins and minerals to strengthen the macula, they move to surgery if it becomes necessary to preserve center vision. Cataracts Accumulations of proteins on the surface of your eye can cause it to seem like you are looking through frosted glass or an opaque window. The good news is that these can be treated with medication to keep them clear so you can see through them. You will probably eventually need surgery to remove them, but modern cataract removal is a simple, painless laser surgery that is highly effective in restoring your clear vision. Optic Neuritis This is an inflammation of the optic nerves. It often causes pain when you move your eyes, and a dull ache when you're not moving them. The good news is that it usually goes away on its own. If it doesn't, it can be successfully treated with steroid medication. Call Our Katy Or Houston Eye Doctors Today! If you have a medical eye condition, suspect you might, or want to be tested to find out if you do so you can get started with a treatment at the very beginning, when it is most effective and easiest to treat these things, give us a call and make an appointment. All of these things are things you definitely want to get treated right away. Make sure you preserve and protect your good vision by calling us at one of our two convenient locations and making an appointment today. You will be glad you did, call 281-644-2010.